Own a piece of the rock in one of the fastest growing areas of Graham County...Pima, AZ. Once farmed, this approximately 13.77 acres is currently full of mesquite trees and would make an excellent development property or revert back to farm land. Per Gila Irrigation District, subject property has 14.3 acres of decreed water rights in addition to an irrigation well with six inch casing, approximately 50 feet deep and has pumped up to 500 GPM. (Needs pump) Concrete ditch on the east side of property runs south. 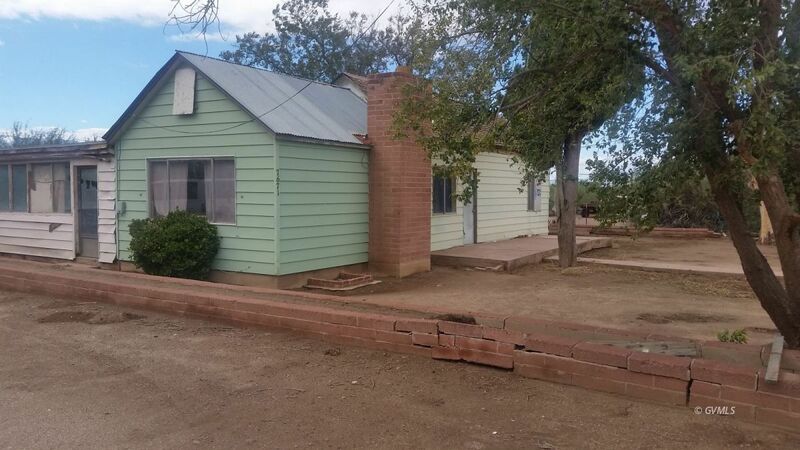 The property can be accessed from two locked gates as well as behind the small two bedroom, one bath fixer upper home. Please do not disturb the tenant.